Two identical Sherman Filterbank2 units in a flat 19" case that can be used for desktop-playing around flat on a table too. 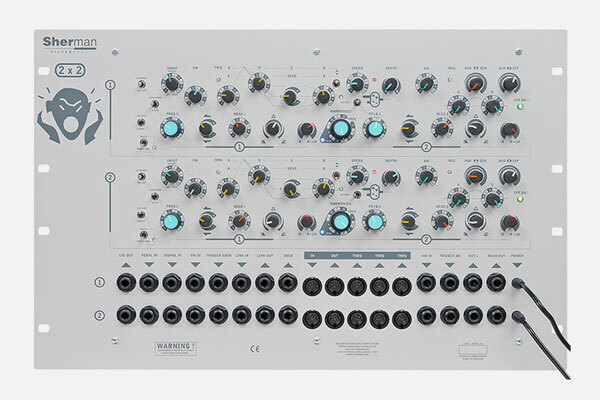 All in- and outputs are located at the front panel what makes you simply interconnecting both units and/or connecting the components with your other desktop instruments or whatever. As it is also in the single rackversion both LFOs have an Oscillator output here. With link in- and output switches the two separate filters can be connected to be controlled parallel.